Sam Claflin will join the Peaky Blinders cast for the show’s fifth series, the BBC has confirmed. The Hunger Games star said he “couldn’t feel more privileged to be invited to join this iconic show”. 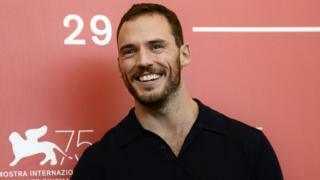 The 32-year-old also praised screenwriter Steven Knight and described the production of the show as “consistently brilliant”. Cillian Murphy will reprise his critically acclaimed role as mob boss Tommy Shelby. The pair will also be joined by Brian Gleeson, Anya Taylor-Joy, Neil Maskell, Cosmo Jarvin, Emmett J Scanlan and Kate Dickie – who will all debut in this season of the drama. “I could not possibly be more excited to be joining such a talented group of people,” said Taylor-Joy. Gleeson, who starred in Logan Lucky, said: “Looking forward to kicking around in the mud of Northern England with an exceptional cast and crew. The BBC said series five would be filled with opportunity and misfortune as the world is thrown into turmoil by the financial crash of 1929. Newly appointed MP Tommy Shelby will also be faced with a tough decision as he is approached by a charismatic politician with a bold vision for Britain, realising this his response will not only affect his family’s future but that of the entire nation.